We’re proud to announce that Clemson University Director of Percussion, Dr. Paul Buyer, has joined the distinguished roster of Grover Pro Endorsers. Dr. Buyer is a contributing author to the second edition of “Teaching Percussion”, by Gary Cook and his articles have appeared in American Music Teacher, Teaching Music, and Percussive Notes. His book, “Marching Bands and Drumlines: Secrets of Success from the Best of the Best”, is published by Meredith Music Publications. 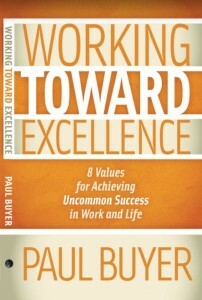 His newest volume, “Working Towards Excellence”, identifies eight values in achieving excellence in both work & life. This book is packed with wisdom and inspiration from respected professionals in business, sports, education and the arts. 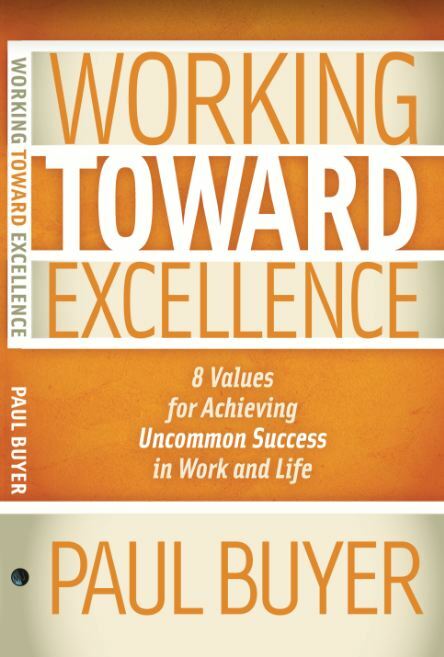 What makes “Working Towards Excellence” unique is its focus on excellence, a topic sorely lacking in today’s marketplace. Without question, this book is timely and very relevant! Soon to be published by our friend Gar Whaley & Meredith Music. Dr. Paul Buyer is a member of the Percussive Arts Society’s Marching Percussion and College Pedagogy Committees and is Chair of the PAS Education Committee.